Marsh Cone Test- Apparatus and Procedure | Test for Plasticizers and SuperPlasticizers. Marsh cone test is a test for finding the optimum dosage of plasticizers and superplasticizers for different types of cement. Here you are going read about marsh cone test. Marsh cone test is an easy test to study fluidity property of cement and mortar. A conical brass vessel held on a wooden stand with a diameter of 5 or 8mm at its bottom. (Given in below figure). Mortar mixer to mix the cement paste with the desired water-cement ratio. 1. First, you need to prepare a cement paste of 1L with a desired water-cement ratio by adding 2kg of cement to them. 2. While preparing the cement paste, the mixing should take place in the mortar mixer. 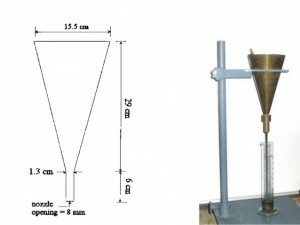 The mortar mixer is used to avoid the formation of lump at the bottom of the vessel. 3. You can take water cement ration ranging from 0.3 to 0.5. 4. 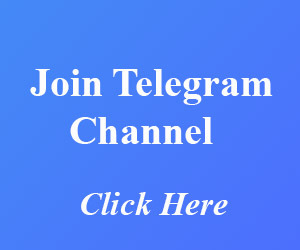 70 percent of water is added at the beginning of mixing in the first step and the remaining water is added in the second step with superplasticizers. The dosage of superplasticizer will be 0.1 percentage of the weigh of cement. 5. Take 1L slurry and pour into marsh cone by closing the aperture with a finger. 6. Start the stop and remove the finger. Note the time taken in seconds for complete flow out of cement paste. This time in seconds is called marsh cone time. 7. Repeat the above steps with different amount of plasticizer with the desired water-cement ratio. The Saturation point is the dose at which marsh cone time is lowest. This dose is the optimum dose of superplasticizer of plasticizer for that brand or type of cement. You can do this experiment with different type of cement and find out the right amount of plasticizer for your brand of cement. 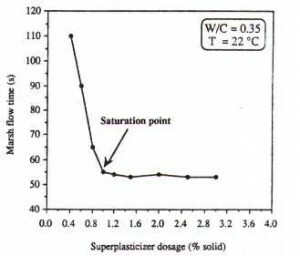 From the above the procedure you can plot a graph between marsh cone time in the x-axis and superplasticizer dosage percentage on the y-axis as given below. If you have any doubt related to this post. Please comment below.